These were the two sentences written in my US history textbook that I used in high school. That was it. Only two sentences. Just two incredibly reductive sentences that are a complete insult to the Japanese Americans who lived through this horrible experience. As an 11th grader who used this textbook during her US History course, I merely glossed over these two sentences, not understanding the significance of their emptiness. Since then, I have declared a history major and am currently in the process of researching for my senior thesis, but I have to admit that I’ve become largely desensitized to history. From the day I read those two sentences to my last day of history class just two weeks ago, I’ve come to realize that I’ve liked history because it was intellectually stimulating. I liked the process of doing research, liked touching old documents or objects in the archival center or formulating an argument in my head and piecing all pieces of the puzzle together. I liked learning about people’s stories, as long as they weren’t traumatic or in any way related to mine. It’s easy to write about displaced tenants in postwar New York when you’re not one. It’s easy to write about the Chinese during the Opium War when you’re not one. And when you go to a school like mine that emphasizes the life of the mind, it’s easy to get caught up in theory rather than the real importance of history, like what it can teach us about humanity and what lessons we can learn from it. This trip has deeply instilled in me two lessons that have allowed me to grow as a historian, something that school was not able to teach me. One is that history is a mish mash of individual experiences that have shaped the course of events. It is not dictated by a common one-stream narrative that has been fed to us constantly. The Japanese American experience cannot be limited to a narrative, because it is incredibly diverse and complex. There were ruptures in the Japanese American community over the loyalty questionnaire, whose two questions broke apart families. Further ruptures in the family happened when at the mess hall kids would eat with other kids and not with their families. Tensions arose during the talks of reparations. We learned about the generational divide, and how the Sansei were inspired by the Civil Rights Movement to bring justice to their parents. We learned about how the very organization that organizes the Kansha Project was in hot water 40 years ago for even bringing it up in the first place. These are the things that should be written about in textbooks. Even this group reflects the diversity of the Japanese American community. We don’t consist of only people whose family members were incarcerated. I am a Shin-Nisei, whose family wasn’t incarcerated, and there are some others on the trip whose family members have never been in the incarceration camps either. Some of us live in Boston, Hawaii, New York. We have different career paths, different personal interests. Some of us speak Japanese, some of us don’t. But this trip brought a halt to our lives and brought us together to the same place. I find it profound that despite our differences many of us at this time were probably asking the same questions in our head about our identity and what it means to be a Japanese American. And what this trip has provided me is a visceral experience, one that would not have happened if I had stayed in Chicago and just read some books on my own. We all felt the dust raging at our faces and our bare knees at Manzanar, whether we were out in the field doing service work under the sweltering sun and felt the eyes of tourists looking at us like we were an exhibit, or if we were out on our own walking through the barracks, listening to the stories of the incarcerees and taking in the silence of our surroundings. We all felt the vibrancy of Little Tokyo as it strives to become a more inclusive neighborhood that is warding off those who do not respect the space, we all sat in that one room at the Whitney Portal Hostel just last Friday and shared our vulnerabilities. We all came together as a community to deal with the trauma and grief of learning about our identity and legacy as Japanese Americans. Leaving Los Angeles and going on the plane to New York, separated from the others who were headed back to Chicago, left me feeling uncertain and shaken. As I started my job that morning, I wondered if others felt the same as they resumed their daily life activities. I wondered, what’s next for me? While the rest of my summer days were predictable, I felt somewhat lost. 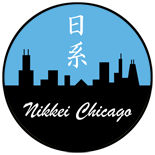 Many of us had talked about our own personal uncertainties, like where we stand in the Japanese American community, what steps we take now to become more involved in the community, quarter-life crises, figuring out if we wanted to stay in Chicago or move elsewhere. Ironically I felt myself wanting to return to the comfort of Manzanar, surrounded by the beautiful Sierra Nevada mountains and by those that I had started to consider family. Was this in any way reminiscent of the same uncertainty the Nisei felt when they left the camps, their future unknown, with only $25 and a train ticket in hand? Did they also feel uncertain about leaving behind their community? This uncertainty will continue to persist as I go about my life figuring out my passions and interests. But one thing is certain: there needs to be a dramatic reform of the way Japanese American history is taught, not only to vindicate the Japanese American community but to further prevent the discrimination and even incarceration of other minority communities. The mainstream narrative must be dismantled to include the stories of individual experiences, oral histories, and how the aftereffects of the camp experience still are prevalent today. It deserves more than two sentences or two paragraphs because this is not just Japanese American history; this is American history, and it deserves to be treated as such. And a big part of that must be a full incorporation of the incarceration camp experience in school curricula. Just two hours after returning from Manzanar, I was in Santa Monica where I saw a man preaching hateful lies about Islam to a group of curious onlookers. If most of them believed him, they will tell their friends and family, who will tell their friends and family. This is the kind of rhetoric that got Japanese Americans incarcerated in the first place. How do you teach empathy? How do you get people to feel the dust, to feel the heat, to empathize with the sadness and the trauma of a community they don’t identify with? Now that people are fighting ideologies rather than an actual country, how does this change how the Japanese American community can support those who are subject to discrimination and hate crimes? I don’t really know the answers to these questions. But this is something I’ve committed myself to thinking about, and I am incredibly grateful for the chance I had to ask them and to be in conversation with other Japanese Americans on these hard topics. It’s a dialogue that I’m hoping to continue with all of you and many other members of the Japanese and non-Japanese community as my responsibility. 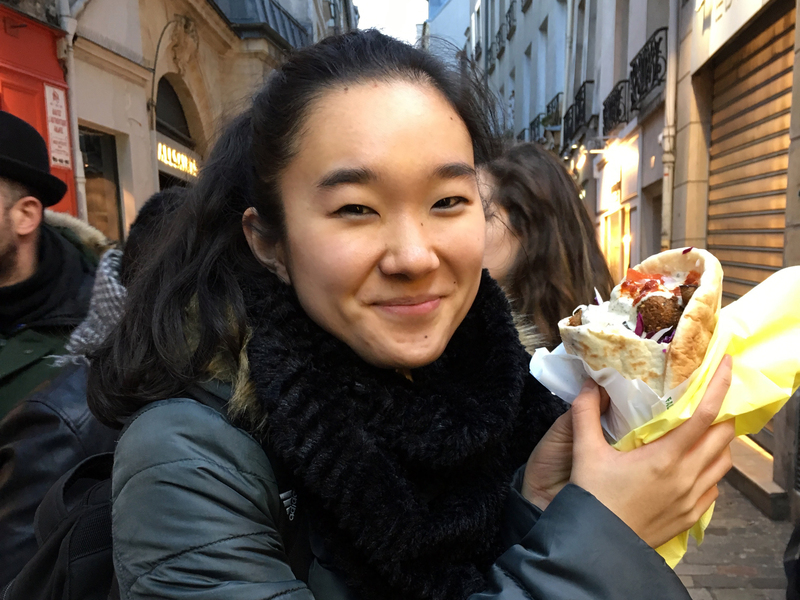 Miki Takeshita is a rising senior at the University of Chicago, majoring in history. She is a shin-nisei from New York. She thanks JACL Chicago and the Japanese American community for giving her the opportunity to participate in the Kansha Project. You have a great outlook. Best of luck in all you do. This entry was posted on July 14, 2016 by R Y in Community, Politics, Shin-Nisei, World War II and tagged Chicago, History, Incarceration, Internment, Islam, Japanese American, Kansha Project, Little Tokyo, Manzanar, Miki Takeshita, Nikkei, Sansei, World War II.